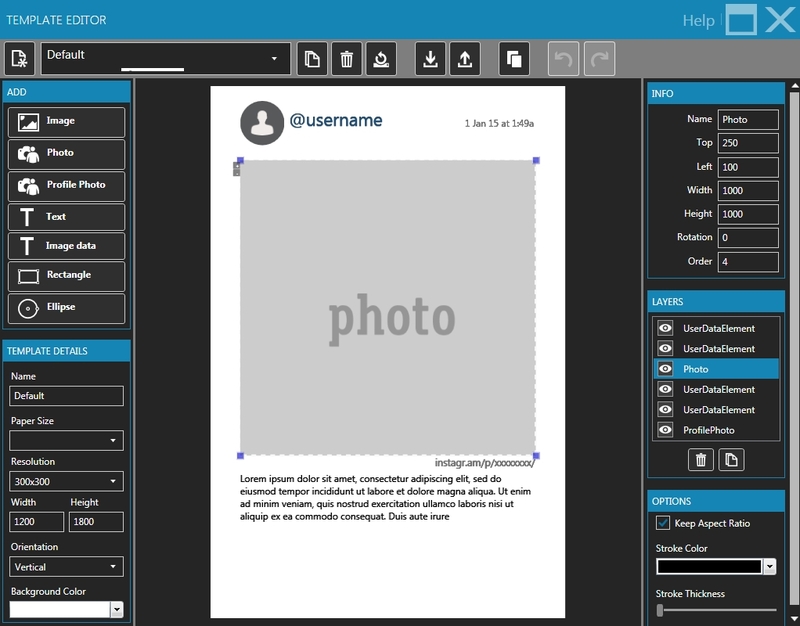 hashPrinter now sports a powerful template editor so you can customize your instagram prints in any way you want. Add images, profile photo, instagram url, date, caption, custom text, and custom shapes using our drag and drop editor without having to use any 3rd party graphics software. Faster processing of final image. Support for larger photos on 64bit operating systems. Added slideshow option for all photos in current album. Press slideshow option on main menu to open the slideshow. As a bonus, if you have chromecast, open the slideshow in chrome, click Google Cast button and your slideshow will play wirelessly to your tv with the chromecast plugged in.